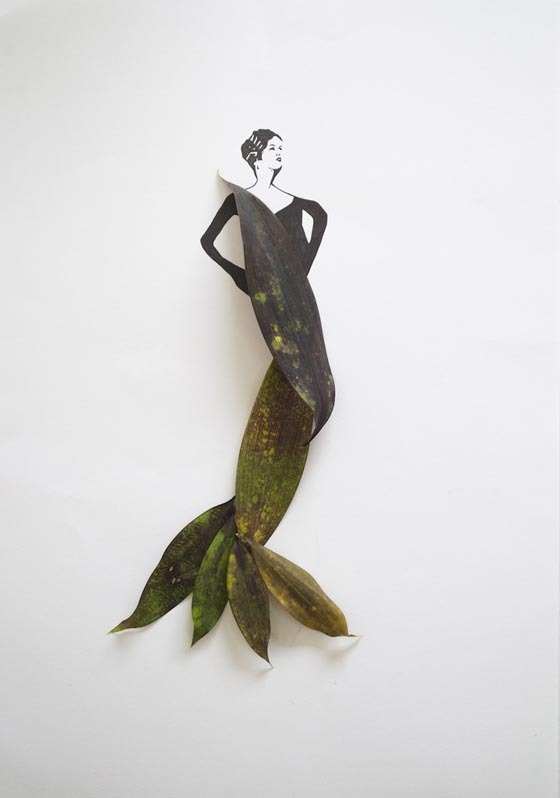 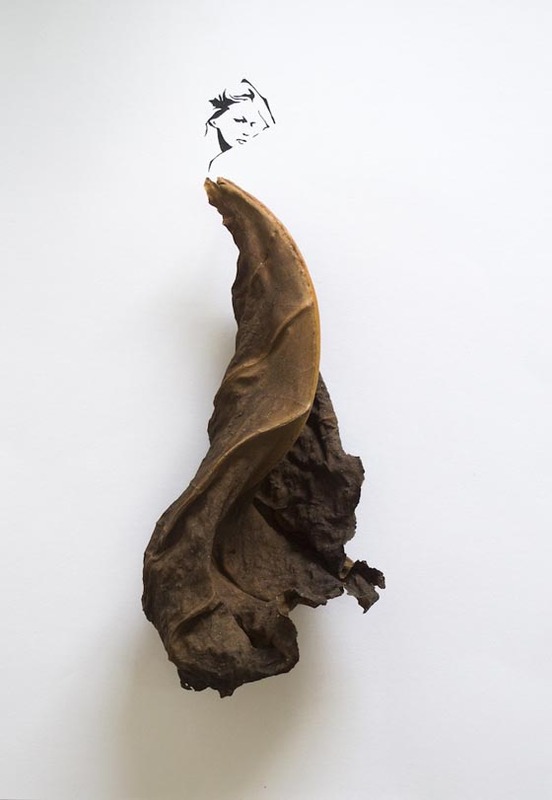 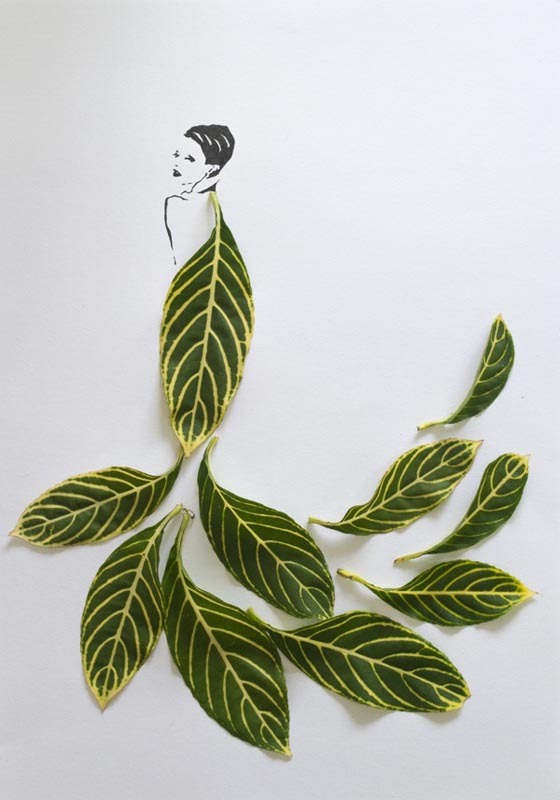 “Fashion in Leaf” is a personal project by Malaysian artist Tang Chiew Ling who is good at mixing mediums and working with leaves. 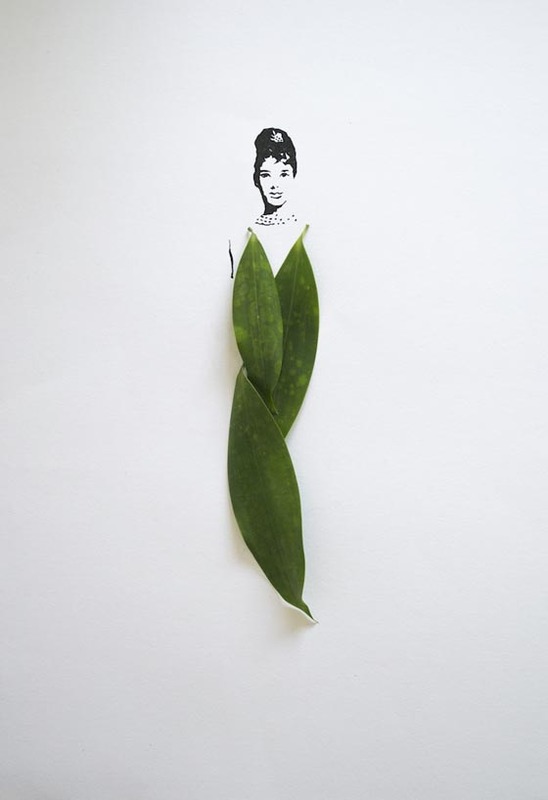 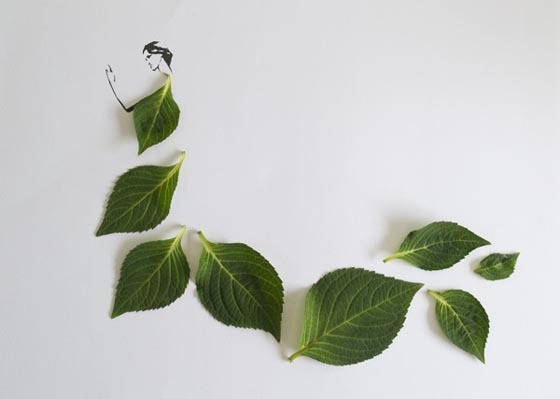 In this series, Tang cleverly uses leaves as dress which combines perfectly with her minimal illustrations. 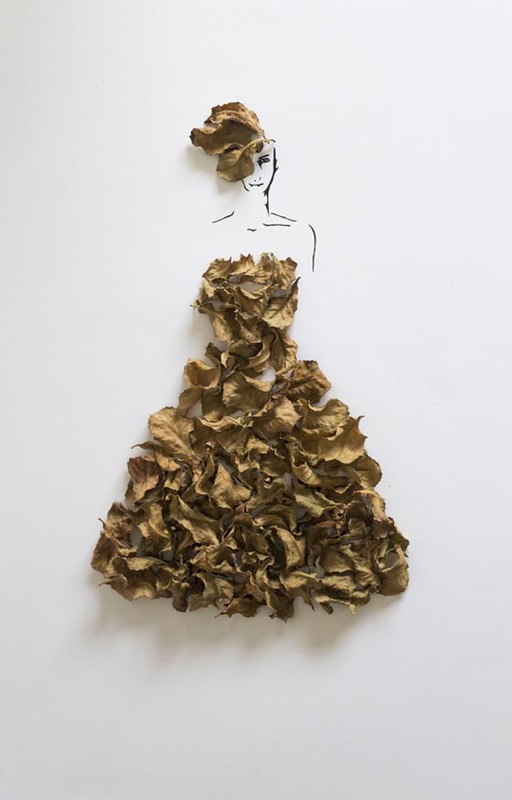 According to the artists, the most challlenging in this project is to find appropriate leaves which can be used as dress and make sure the dress looks elegant. 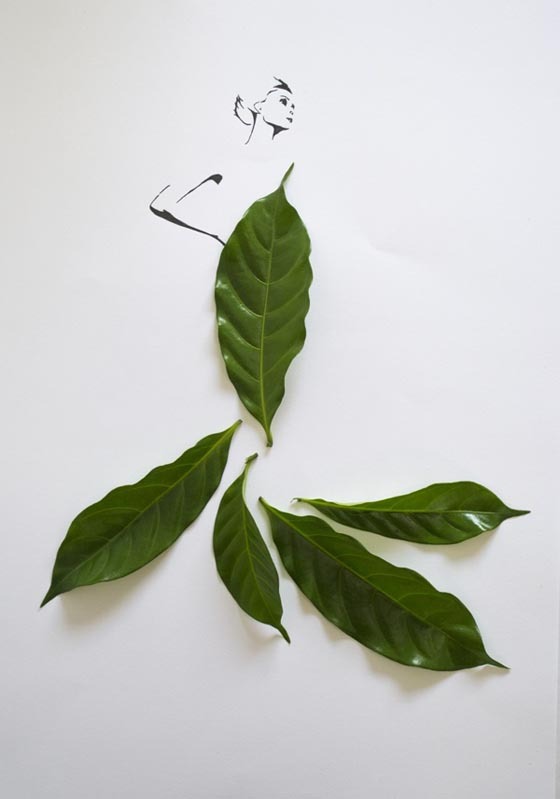 Not only fresh leaves, those withered, crinkly brown leaves can be beautiful after careful arrangement.